How to describe the absolute insanity of Carnaval? 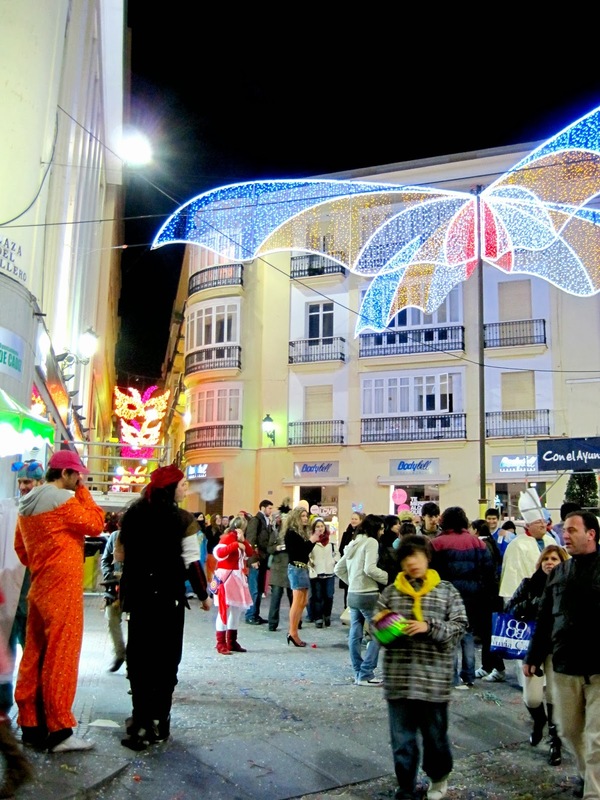 I wish I could accurately portray the outrageous mayhem of Cádiz's most celebrated tradition: Mardis Gras on crack. It's like going to the fair on Halloween in Disneyland. The whole town dresses up in garish costumes, indulges on delicious treats such as gofres (like waffles but better), baked potatoes, caramel apples and fresh mini-donuts, and then shamelessly gets completely plastered in the middle of the streets. In the streets, people dance and laugh along with the charmingly sarcastic chirigotas (witty bands in costumes that sing about controversial issues) with their liters of Cruzcampo beer and plastic party cups filled with tinto de verano. Even the bars are located outside, so they can accommodate the hundreds of tourists that pack the quaint gaditano streets. The streets are so jammed, it’s impossible to get anywhere – it took me 45 minutes to get to Plaza de San Francisco, which would have normally taken me 15 minutes to get to from my old apartment. But it’s not a typical big-city traffic jam, for everyone is drunk out of their minds in elaborate masks and costumes. Confetti and silly string litter the winding streets and pathways while locals erupt into impromptu sing-a-longs and dances. It is completely surreal. 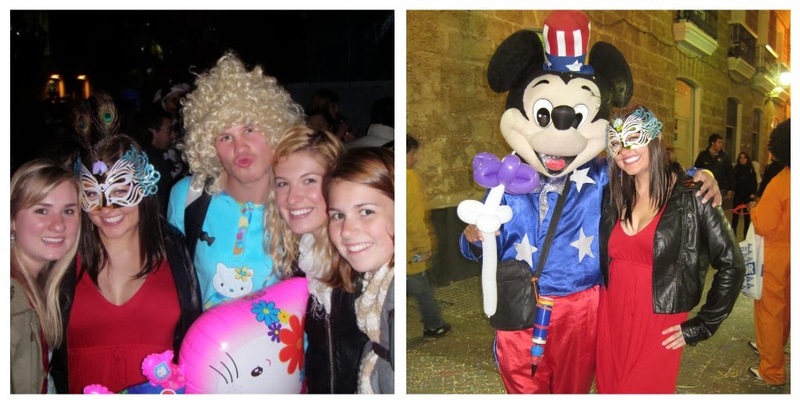 “Wild” doesn’t even begin to describe Carnaval de Cádiz. The whole city suddenly comes to life, and everyone is filled with the joyous spirit of Carnaval. It made me feel like a kid again! Maybe it was the sugar high or the bizarre feeling of living in a dreamlike alternate universe, but Carnaval utterly fascinated me. I dressed up as a peacock, while my other friends flaunted costumes comprised of sequins, feather boas, body paint and balloons. 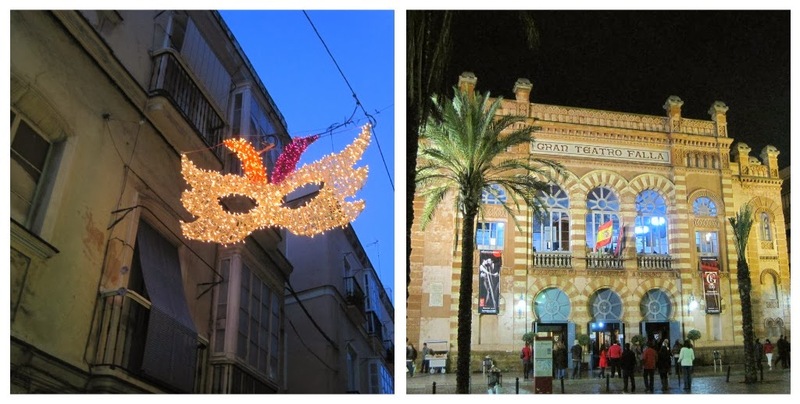 We roamed the crowded streets, bar hopped, met crazy locals who were more outrageously dressed as we were, and feasted upon festive candy and freshly made donut holes. The celebration usually lasts a week, but the first weekend of Carnaval is usually the most out of control. Even after my first night of Carnaval, I came home to find remnants of my host mom’s bright pink wig in the sink. I kid you not, the entire city goes nuts. If you ever get the chance to experience the madness of Carnaval, I urge you to do so. 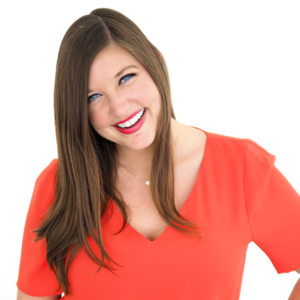 It is definitely a bucket list-worthy experience! 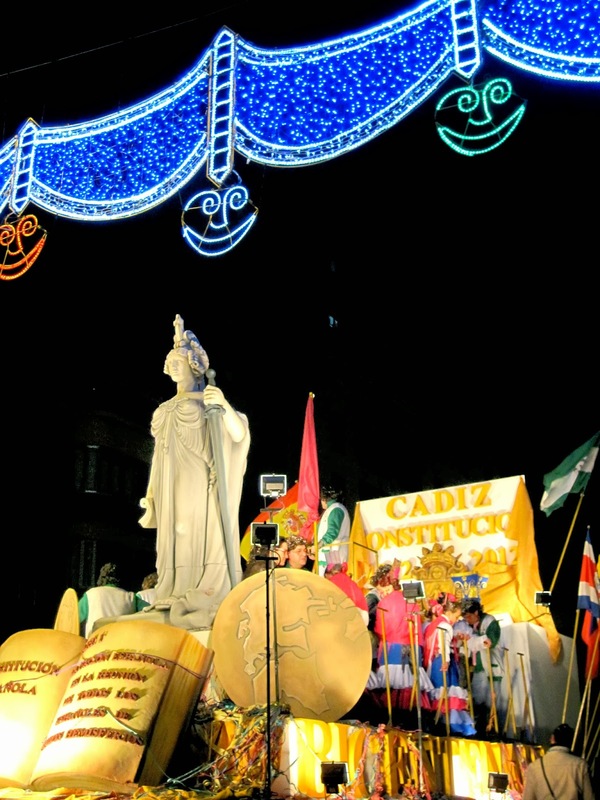 Next year I'll force myself to be better at budgeting so I can relive the madness that is Carnaval de Cádiz. Have you ever celebrated Carnaval? What was your favorite part? 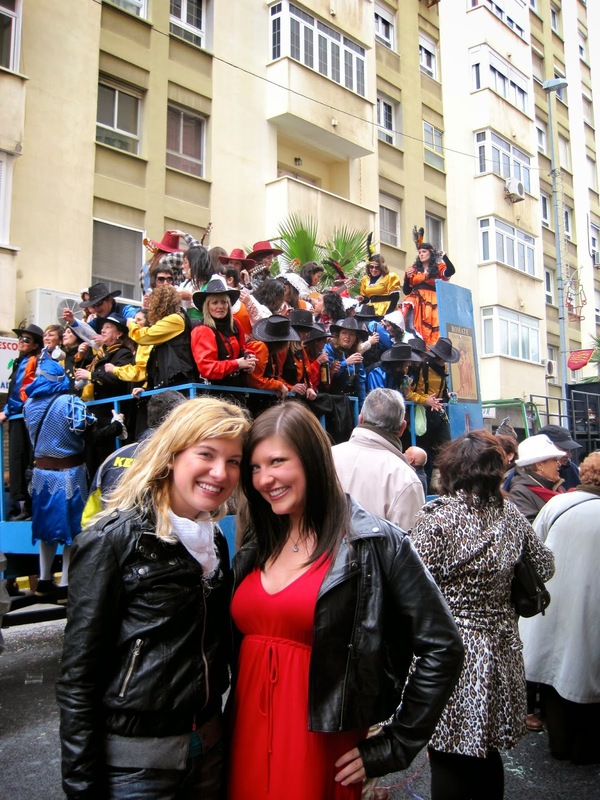 2 comments on "Take Me Back To: Carnaval de Cádiz"